There are several options in the market today if you want to invest in gold, but do not want to buy traditional gold jewellery or gold coins. Instead of buying physical gold, you can opt for sovereign gold bonds (SGBs), gold exchange-traded funds or ETFs and gold mutual funds (MFs). In India, Akshaya Tritiya is considered an auspicious occasion for buying gold . There are several options in the market today if you want to invest in gold, but do not want to buy traditional gold jewellery or gold coins. Instead of buying physical gold, you can opt for sovereign gold bonds (SGBs), gold exchange-traded funds or ETFs and gold mutual funds (MFs). These options ensure that you need not buy physical gold any more, which gets even more expensive as an investor has to pay for the storage cost (if a bank locker is taken). As SGBs and ETFs are held in demat form, there is no such storage cost. Here is a low-down on all e-gold options before you choose which one you want to buy. This scheme enables you to buy bonds worth 1-500g of gold per person per financial year. It is an eight-year scheme with exit option starting from the fifth year, to be exercised on interest payment dates. The nominal value of the bond is based on the simple average closing price published by the India Bullion and Jewellers Association for gold of 999 purity in the week preceding the subscription period. For the current tranche of SGB, the average is Rs 2,951 per gram. 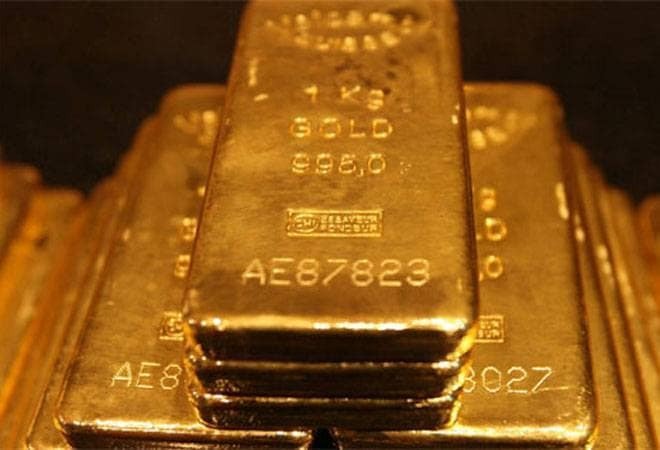 As the government has decided to offer a discount of Rs 50 per gram, the issue price of the gold bond for this tranche has been fixed at Rs 2,901 per gram of gold. The main advantage of investing in a sovereign gold bond is that you get 2.5 per cent interest rate per annum on the initial investment. The interest will be payable half-yearly. One can redeem a gold bond at the prevailing market price at maturity. It means if you opt for the SGB, you will earn both interest and capital appreciation, if any. As these bonds are listed on exchanges, a person can exit even before maturity, but will be subject to capital gains tax (long-term or short-term, depending on the investment tenure). In case one redeems the bond on maturity, there will be no capital gains tax. They are the same as mutual fund units where each unit is equivalent to 1g of gold. However, some funds give the option to invest in the lower denomination of 0.5g. Unlike SGBs, one has to pay around one per cent management fee a year for gold ETFs and this is a recurring expense. On the other hand, one can exit gold ETFs any time by selling them on exchanges. Short-term capital gains tax will be applicable as per the slab while long-term capital gains tax (20 per cent post indexation) will be applicable if they are sold after three years. These are the funds which invest in gold ETFs. So, apart from the expense of gold ETFs, an investor will have to bear the fund's expense as well. It has a key benefit, though -- one can invest here through a systematic investment plan or SIP. A SIP in gold ETFs or SGBs is not possible. Guaranteed interest, low cost and tax advantage offered by the SGB gives you an edge over gold ETF or gold fund. However, SGBs may not be as liquid as gold ETFs right now. "ETFs are a lot more liquid than sovereign gold bonds. Broadly, if one looks at the various parameters, SGBs are a better option to invest in gold for a long-term investor. But from an asset allocation point of view, if a person wants to rebalance the portfolio by selling some of the gold, SGBs may not be as liquid as ETFs," says Anil Rego, Founder and Chief Executive of Right Horizons.